Allen Ginsberg: How far beyond special study centers can a Krishna consciousness movement or any religious movement grow? Because the need is for a large single, unifying religious movement in America. First, what do you expect from the Supreme Being or the perfect unifying agent? Everything is there in Krishna. Wealth—Krishna. Beauty—Krishna. Wisdom—Krishna. Fame—Krishna. Renunciation—Krishna. Strength—Krishna. You’ll find everything in Krishna. Whatever you want you’ll find in Krishna. He is the unifying agent, the center. And of that I will convince you. Krishna is the unifying center, actually. And in the Bhagavad-gita He says, mama vartmanuvartante manushyah partha sarvashah: “Everyone is trying to come to Me.” Everyone is trying to come to Krishna. Then He adds, ye yatha mam prapadyante: “But some are realizing Me not directly but indirectly, through My various energies. Still, everyone is trying to come to Me.” We are talking about Krishna as the perfect unifying agent. Insofar as His unifying power is concerned, He appeals, in His various manifestations, to all varieties of truth seekers. Essentially, there are three varieties of truth seekers: mental speculators, meditators or yogis, and devotees. The mental speculators are trying to understand the Absolute Truth in an impersonal way, without a personal form. And the meditators or yogis are trying to find Krishna within their heart, through meditation. Finally, the devotees are trying to find the Absolute Truth through personal activity, through reciprocation of loving service. Now, all three of these manifestations—impersonal all-pervasiveness, personal presence in the heart, and active personal reciprocation—are in Krishna. And Srimad- Bhagavatam says that it is the only business of the human being to search out this Absolute Truth. Now, in the Bhagavatam’s second chapter, the Absolute Truth is explained, analyzed. Vadanti tat tattva- vidas tattvam yaj jnanam advayam. First, the Absolute Truth must be one entity. The Absolute Truth cannot be two different entities. Two different entities would mean relative truths. 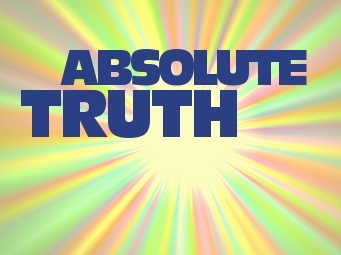 No, the Absolute Truth must be one. Therefore the knowledge of the Absolute Truth is one. Vadanti tat tattva- vidas. Tattva-vidas means “those in knowledge of the Absolute Truth,” and the verse goes on to say that such persons confirm that the Absolute Truth is one. But He’s realized in three phases. Brahmeti paramatmeti bhagavan iti shabdyate. Brahman means His impersonal all-pervasiveness, through His effulgent energies; Paramatma or Supersoul means His personal presence within the heart; and Bhagavan means His overt personal presence as the Supreme Personality of Godhead. So, these are different stages of realization. For instance, you go through different stages in realizing the sun. In the first stage, you experience the sun’s impersonal effulgence all over the sky. But that effulgence is not more important than the sun globe—because it is from the sun globe that the effulgence is coming. So anyone will understand, “This sunshine is not as important as the sun globe.” And if you approach the sun globe and penetrate into the sun—if you have really got the scientific power to go within the sun globe—then you’ll find there is a sun-god. That information we get from Bhagavad-gita. Imam vivasvate yogam proktavan aham avyayam. Krishna says, “I first taught this science of God realization to Vivasvan, the sun-god.” So, therefore, behind the sunshine and the sun globe there is a person. And why not a person? Our imagination is not the ultimate truth. We have to get information from Krishna, and He explains that behind these other manifestations there is a person, the sun-god. So, as far as sun realization is concerned, there is a person—he’s sitting there. Now, if we consider these different stages one passes through in realizing the sun—sunshine, sun globe, and sun-god—which is the most important? Which is the most important? Allen Ginsberg: The person, the globe, or the sunshine? Allen Ginsberg (laughing): I don’t know. 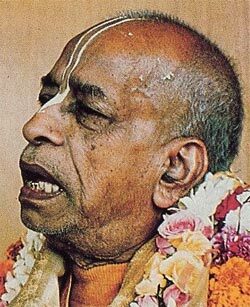 Srila Prabhupada: Why don’t you know? You cannot say which of these three manifestations is the most important? The sunshine, the sun globe, and within the sun globe, the sun-god. Now, which is the most important? Allen Ginsberg: If we could apprehend it in terms of person, the person. Allen Ginsberg: But if we could apprehend it only in terms of the globe, then the globe. Srila Prabhupada: So that means your own realization may extend only up to the globe, but that realization is not complete. 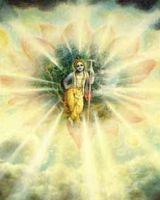 “I worship Govinda, the primeval Lord, who has great power. The impersonal Brahman is simply the glowing effulgence of His transcendental form.” And so forth. So this Brahman effulgence is nothing but the effulgence emanating from Krishna’s body. So we have to study everything intelligently. I want some intelligent persons from America to study this great science and share it with the whole world. Then it will be nicely done. To anyone unfamiliar with the concept, it may be difficult to grasp how a single person can contain or "be" all of reality: this world is full of relative truths, and Krishna is a different kind of person than we may be used to thinking about. 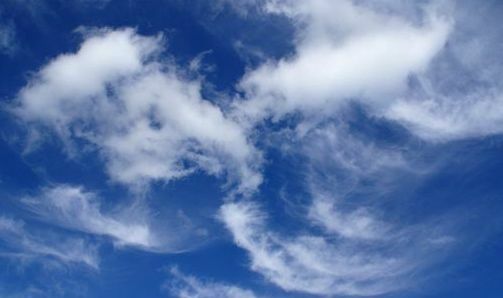 Here’s an example of a "non-absolute," or relative truth: "The sky is blue." That may be true—if it’s daytime and there aren’t any clouds—but the sky won’t be the same color tonight and may not be the same color tomorrow. And even if it’s blue here, it’s not blue everywhere. That statement is true, then, in a relative way—relative to time and space. There are unlimited relative truths, but there is only one Absolute Truth. That’s why we capitalize the "A" and the "T."
"The thoughts of My pure devotees dwell in Me, their lives are fully devoted to My service, and they derive great satisfaction and bliss from always enlightening one another and conversing about Me." "Everyone is searching after the truth. That is the philosophical way of life. The demigods give information that the Supreme Absolute Truth is Krishna. One who becomes fully Krishna conscious can attain the Absolute Truth. Krishna is the Absolute Truth. "Relative truth is not truth in all the three phases of eternal time. Time is divided into past, present and future. Krishna is Truth always, past, present and future. In the material world, everything is being controlled by supreme time, in the course of past, present and future. But before the creation, Krishna was existing, and when there is creation, everything is resting in Krishna, and when this creation is finished, Krishna will remain. Therefore, He is Absolute Truth in all circumstances. "If there is any truth within this material world, it emanates from the Supreme Truth, Krishna. If there is any opulence within this material world, the cause of the opulence is Krishna. If there is any reputation within this material world, the cause of the reputation is Krishna. 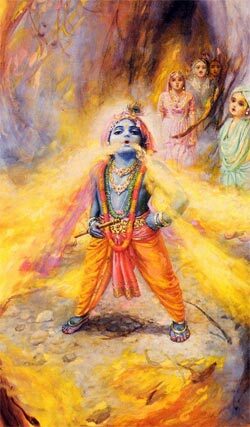 If there is any strength within this material world, the cause of such strength is Krishna. If there is any wisdom and education within this material world, the cause of such wisdom and education is Krishna. Therefore Krishna is the source of all relative truths." 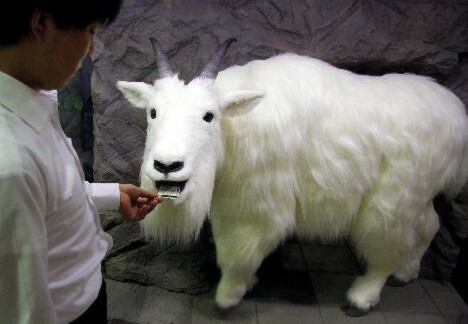 According to an Indian proverb, there’s nothing that a goat won’t eat and nothing that a madman won’t say. Madmen? Sometimes it seems like we’re living in a world of them, or at least a world of fools. The human impulse is to say something—anything. Something stupid, something contentious, something sweet, deceitful, smart, ridiculous, or empty. Big strings of words, amounting to nothing. It’s astonishing. Nearly as surprising: You can speak the most outrageous foolishness, and someone out there—most likely many someones—will for sure take it as sensible, even as urgently important. People babble on like sea waves, other people babble back. And soon you’ve got a tumultuous roar, of no significance at all. Babble on, Babylon. Behind those babbling tongues churn babbling minds, full of everything, empty of substance. For which the Vedic remedy is the chanting of the maha- mantra: Hare Krishna, Hare Krishna, Krishna Krishna, Hare Hare/ Hare Rama, Hare Rama, Rama Rama, Hare Hare. The purpose of the chanting is to pull the mind out of the din and fix it on one point: Krishna. That point—Krishna—is not merely a point, but the ultimate substance. The word Krishna indicates the supreme reality, the Absolute, the original source of everything. More precisely, the word Krishna is Krishna. On the material platform, a word and what it stands for are different. On the spiritual platform, Krishna and Krishna’s name are the same. So by chanting Hare Krishna, we leave behind the clatter of illusion and come in touch with Krishna, the Absolute Truth. In the early stages of spiritual understanding, one realizes that Absolute Truth as an impersonal, all-pervading oneness. Further along, one perceives that Absolute Truth as the Supersoul, the source of all intelligence, the unseen guide within the heart. And when that unseen guide fully reveals Himself, one can see the Absolute Truth as the transcendent Personality of Godhead, free from all the grossness of matter yet tangibly real and specific in His unlimited names, forms, qualities, and pastimes. It is when we come to Krishna that real talking begins. That talking is done by the greatest self-realized souls. And by those who accept, repeat, and relish the words of those realized souls and thus become realized themselves. Of course, those who babble on about nothing will think that whatever they’re buzzing about is of great consequence and that Hare Krishna is for fools. Following in the footsteps of the Vedic sages, we’ll go on talking about Krishna and chanting the maha-mantra: Hare Krishna, Hare Krishna, Krishna Krishna, Hare Hare/ Hare Rama, Hare Rama, Rama Rama, Hare Hare.